ALLIANCE IN MOTION GLOBAL, INC. is a marketing company established in March 2006. It is located at Units 301, 319 and 320 AIC Burgundy Empire Tower, cor. Garnet & Sapphire Sts., Ortigas Center, Pasig City, Philippines. 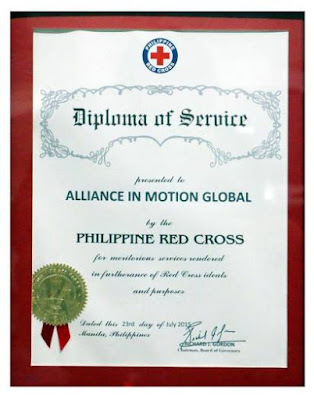 In more than 10 years of operation, Alliance In Motion Global, Inc. has established its presence strategically in different regions in the country. At present, it has 87 Business Centers and 94 Satellite Offices nationwide. Alliance In Motion Global Inc. is conceptualized to provide unmatched quality distribution of exceptional products and services through a combination of advanced technology, distinctive marketing strategies, excellent product lines and exemplary leadership that secures the success of the company. A pro-distributor concept that sets trend on distributors’ extravagant packages such as transferable scholarships, free or discounted medical services, insurance package and world class quality products. 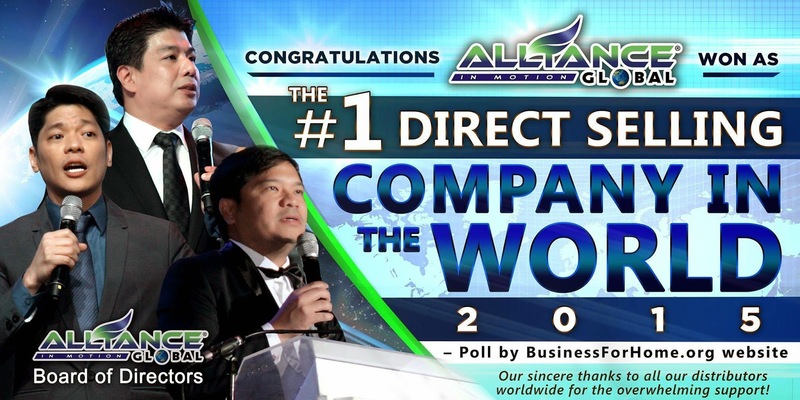 Alliance In Motion Global Inc. is the only multi-level marketing company accredited by Natures Way, Greenbay, Wisconsin , USA as its exclusive product distributor in the Philippines and other countries in the world. With its phenomenal sales contribution through its dynamic product line, the industry recognized and awarded its products with 7 achievement awards from entities engaged with product leadership and excellence in the country. The company acknowledges the dedication and hard work of its distributors for having a sequence of remarkable sales. In return, Alliance In Motion Global, Inc. offers outstanding all expense paid travel incentives to its top distributors to further inspire them to excel in the world of multi-level marketing business. At present, leaders and distributors travel around the country to promote a passion for life, service and prosperity by providing revolutionary products and services to help them achieve financial independence that will surely result to economic progress. And soon, Alliance In Motion Global Inc. will be recognized as a leader in providing quality products and services on a global scale. With its powerful products and time-tested concrete Marketing Plan, Alliance In Motion Global now put in life the true meaning, and the need to achieve SUCCESS. We believe whole heartedly with the responsibility of that, YOUR DREAM, IS OUR PLAN! Because it was once said that the greatest source of illness in this world is an empty income, and if you give a person an opportunity to earn what they’re worth, it is the greatest and powerful remedy. To provide unmatched quality distribution of outstanding products and services to local, regional and global markets. To open the doors of opportunity and prosperity by empowering our distributors to achieve financial independence and economic stability by maximizing the wealth of the market thru our products and services. Top 1,072 Corporation according to Philippine Business Profiles and Perspectives Inc. AIM Global Products are also listed in Philippine Pharmaceutical Directory (PPD), a reference of Doctors when prescribing medicines to patients. 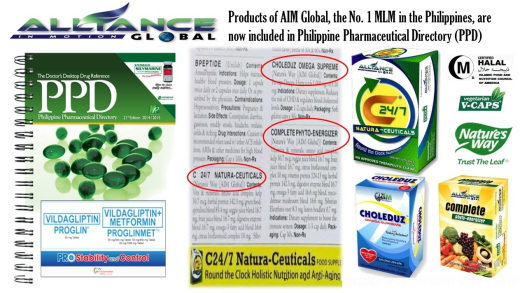 Witness how AIM GLOBAL conquer the global arena and GROW as a strong “Pro-Distributor” Company. With it’s breakthrough products and services it has changed many Filipino lives all over the globe. In AIMGLOBAL, You have nothing to lose — but you have your whole life to win. Labels: awards, recognitions, what is aim global? The Next 10 Years of AIM Global! FREE TOURS every YEAR! with POCKET MONEY!! Kahapon may nagtanong sakin nito..